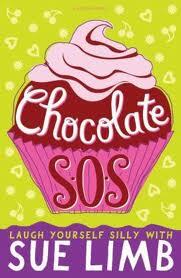 Amber Kirk-Ford: Chocolate S.O.S by Sue Limb BLOG TOUR: Why Funny Books are Good for You! 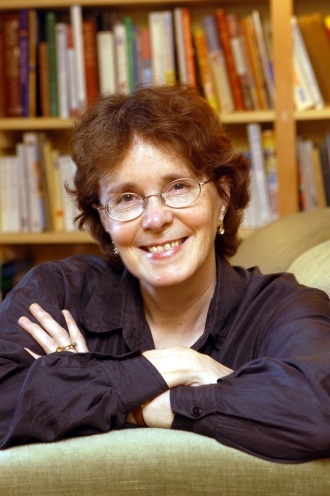 Chocolate S.O.S by Sue Limb BLOG TOUR: Why Funny Books are Good for You! Imagine two sisters: Lauren likes to go down the gym for a workout. Her sister Chloe prefers curling up on the sofa with a funny book. Which of them is doing the healthy thing? The answer may surprise you. Obviously Lauren’s doing a healthy thing: we all need exercise. But Chloe is doing a healthy thing too. Reading a funny book can actually improve your health. Laughing lowers your blood pressure and helps your heart. It smooths away stress, and the effects last for 45 minutes after your giggling fit. Comedy even boosts your immune system and antibodies so you can resist infections and bugs more easily, plus it triggers endorphins which give you a real feelgood buzz and can relieve pain. I’ve always thought of endorphins as a bit like microscopic dolphins, leaping and plunging through my bloodstream and playfully tossing beachballs about. Ah! Bless! Apart from the medical benefits, comedy can help you to triumph over the awful things in life. We’ve all experienced skin-creeping embarrassment and attacks of terror. I was babysitting once, heard a strange sound, freaked out and locked myself in the bathroom. Then I had to climb out of the window and run next door for help. The strange noise turned out to be the central heating. At the time I was terrified and embarrassed, and had a wardrobe malfunction because I ripped my dress climbing out of the window – but afterwards it made a great story and my friends all seemed to find it highly amusing. Comedy does spring from difficulties and we love to read about somebody going through some kind of dire torment, for example falling off their high heels at a posh wedding, having a coughing fit in the High Street or walking into a lamp post. When we laugh at their dilemma, in a way we’re recognising the trials of being human and exorcising demons of shame and anxiety we can all identify with. That’s why comedy is better for you than vampires and horror – it’s actually life-enhancing, both medically and psychologically. But I would say that, wouldn’t I? I’m a comedy writer! I love Sue Limb - what a fab post!